Description: This is a course applying basic techniques used throughout the I-CAR curriculum. I-CAR is an internationally recognized collision repair, paint refinishing, and basic welding training program. This course is for those seeking a career in a collision repair related field and requires math skills and reading comprehension. 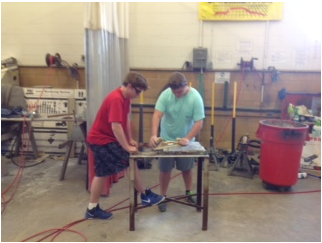 Description: Students acquire advanced conventional auto body repair skills. 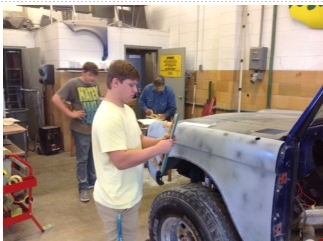 Students acquire these skills by repairing and refinishing wrecked vehicles. After successful completion of both Collision Repair I and II, a student can test for pro level one collision repair and pro level one refinishing I-CAR certification and should have the skills to obtain an entry level job in a collision repair shop. Students will have obtained the necessary foundation courses to advance their I-CAR training in the future.